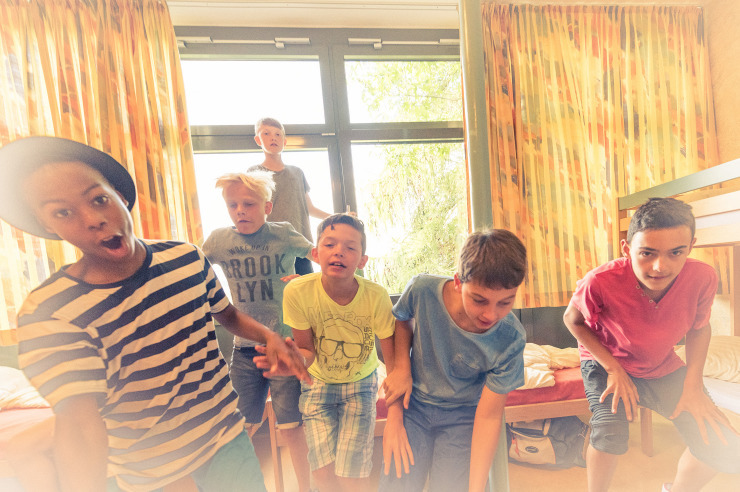 Lauterbach is a family-friendly Youth Hostel, located on the northern edge of the Vogelsberg region, and is ideal for larger music, sports club or school class groups. It has made itself a name as a venue for harpists meetings of international renown. Families also feel at home here. 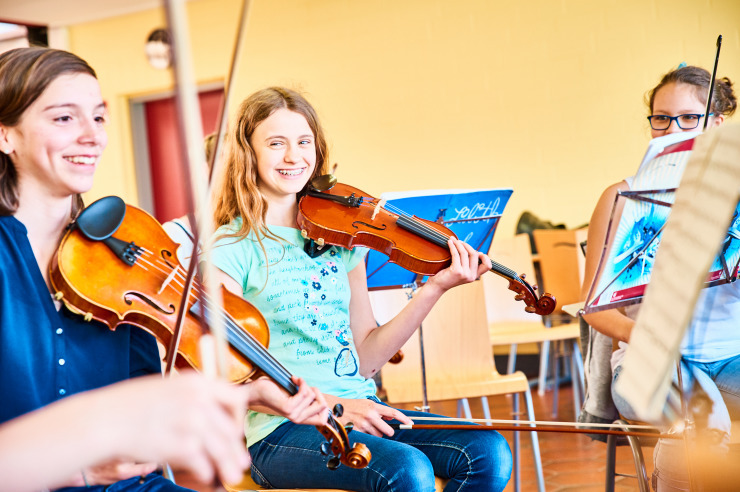 A piano, conference equipment and a big rehearsal room that can also be used for larger orchestras are available for our guests. The recreational grounds offer a football pitch, mini golf course, streetball basket, volleyball net and barbecue and bonfire areas. Our kitchen will provide you with a varied diet and is happy to accommodate individual requirements upon request. 5.00 p.m. - 9.45 p.m. 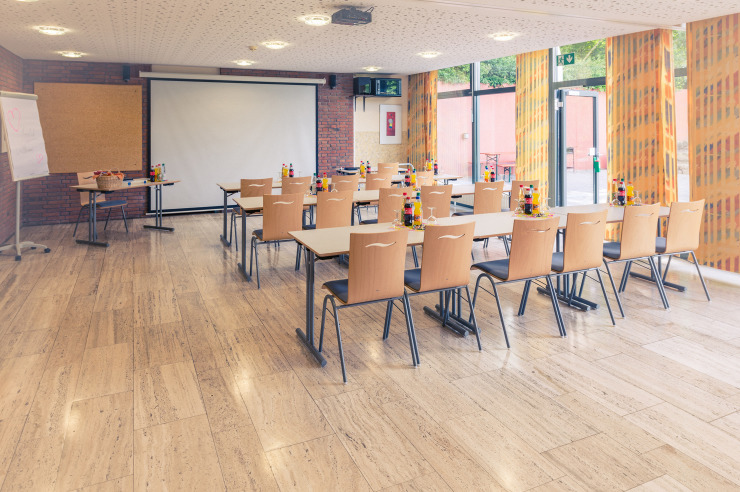 The Youth Hostel is located on the road to Schlitz, about 1.5 km from the city limits, bordering on a forest and surrounded by a large recreational and sports ground. The Hostel has a total of 169 beds in homely rooms with one to six beds each and en-suite showers and toilets.